A trek around Dhaulagiri (8,167 meters), the 7th highest peak in the world, sited in the western part of Nepal is considered as a challenging and most rewarding trek around the inspiring Dhaulagiri massif. 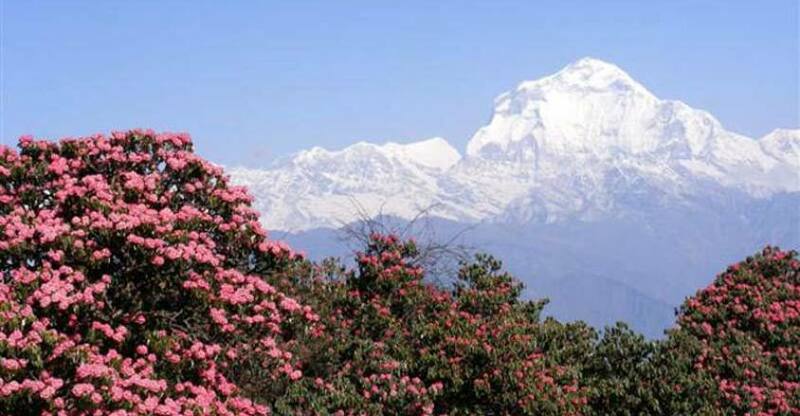 This isolated trekking offers amazing natural scenery, evergreen forest blossoming with rhododendron combined with native warm-hearted people and their heady mixture of unique culture. The popular and challenging high mountain passes in this area include French Pass (5,360 meters) and Dhampus Pass (5,182 meters). Trekking trail passes through forests full of ferns, oak, juniper and into the high provinces, making over snow and glaciers. Further, it circuits around the Dhaulagiri massif, displaying the beauty and wilderness of Nepal's remote area, which truly is an adventure for any trekking enthusiast. This is a beautiful all round trek that incorporates the best of what Nepal has to offer while being off the beaten track.